I am very interested in the 'Asfalto_1' you released on STONEBTB.com. 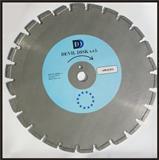 I am very interested in the 'Ceramic Diamond Cutting Blade' that you released on STONEBTB.com. Hello, I trying to start relation work between us by offering you about Egyptian marble and granite , so for your interesting pls. contact us for any details . BEST&REGARDS.